You've probably asked yourself at some point, "Do I REALLY know where this food is coming from?" With the threat of legislation in Tennessee that would essentially make co-owning a cow in order to have my own real milk illegal, this concern is getting closer and closer to home for our family. At various points in our country's history, legislation that widens the gap between farmer and consumer has been allowed to pass. In 2015 with meatpacker support, our government eliminated the Country Of Origin Labeling laws which told us where a particular package of meat came from. This opened up the market for foreign countries to ship meat to the US and as long as it is packaged here it can be labeled as a "product of the US". I KNOW! My mind is blown! This lead to the flooding of our domestic market with imported beef supply. At the grocery store, the prices of beef cuts are at an all-time high while the prices at the sale barn are at an all-time low. Guess who is winning there? For the past few years, meat packers around our country have been capturing unprecedented margins. At the same time, you suffer because both the quality of meat has gone down and you are paying a higher price to boot. We have allowed legislation to pass that thickens the veil of deception between the producer and the consumer. We have remained complicit with our food voting dollar. It doesn't have to be that way. We still have a choice to vote for OUR farmer. 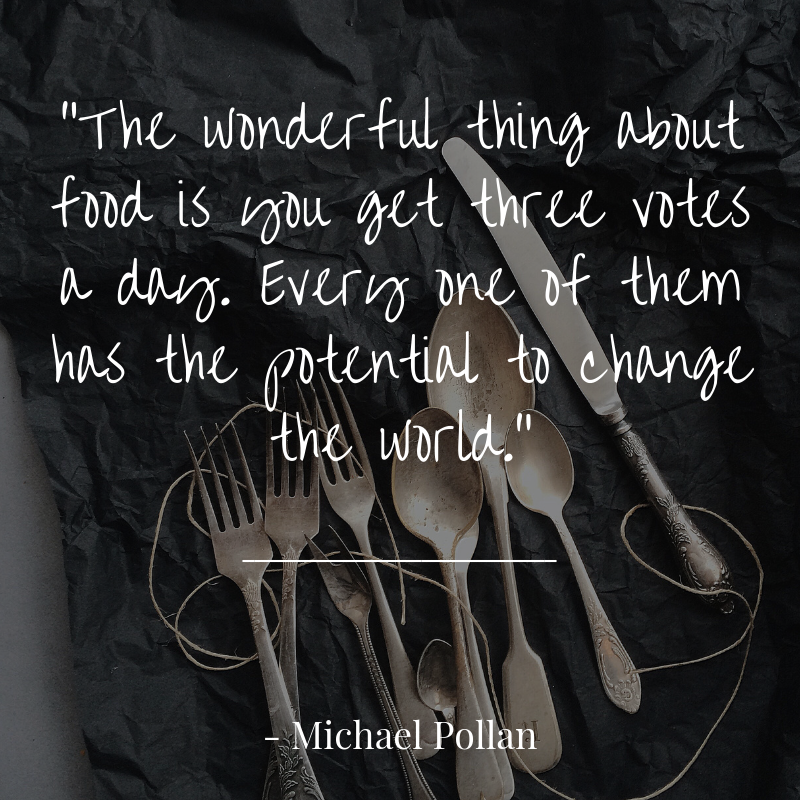 We have the choice to take out the middle man by voting with our forks. We get to decide how, where, and by whom our food is raised when we take that decision back into our hands! Cottonwood might not be your farmer, but PLEASE seek out YOUR farmer. They are everywhere people eat. Buying directly from a farm can be inconvenient and time-consuming. To help you out with this we have developed various drop-off locations and we're working to create more. Click here to see if there's a drop-off near you. Pssst...there are perks for our hosts! Welcome to the Cottonwood Farm Family! Food is not what it says it is anymore. Unless we know our farmer and our food source, how can we really know what we are eating? What better food group to get to know exactly how it was made and where it came from than BUTTER?! Check out our 6 steps to making your own and tools you can use to do it.